Pale, peach skin. Nose of crushed strawberry and grapefruit. hungry mouth on the acid drop. Refreshing. Crystal clear with pearly sheen. On the nose, delicate aromas of white flowers and fresh cherries. The palate is soft and juicy and creamy finish. 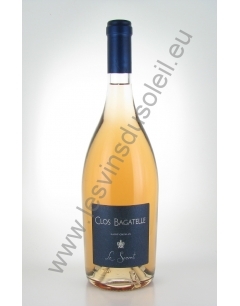 A beautiful rose petal color, this wine offers pure nose with floral notes and fresh fruit. The ample and fruity freshness which develops a pleasant aroma of raspberries and strawberries vie for the final. 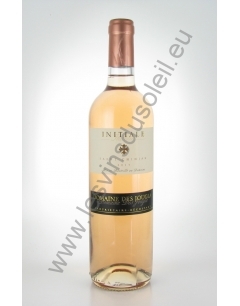 This is a tasty rosé and full of charm and altitude of the vineyards accentuates freshness. Cazal Viel produces a delicately colored Rosé primarily from grapes selected by hand from old vines of Syrah, Grenache and Cinsault. The invigorating flavors of red fruits associated with the roundness, a soft structure and freshness of final pink nose make this the perfect companion to fine cuisine.